Have you ever wanted to tour ancient Egyptian tombs? Then take a Luxor West Bank, Valley of the Kings and Hatshepsut Temple Tour in Egypt. This tour takes visitors to the most famous sites on Luxor's West Bank in the company of an expert private guide. Visitors will also step back into Egypt's ancient history at the Valley of the Kings and Hatshepsut Temple. 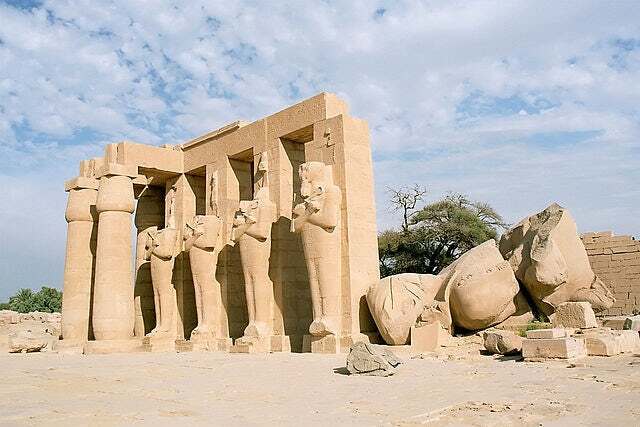 Home of the infamous Queen Hatshepsut and King Tutankhamun, the Hathesput Temple and Valley of the Kings on Luxor's West Bank are two of Egypt's most popular attractions. With the Luxor West Bank and Valley of the Kings Tour you can enjoy a private, guided tour of these amazing Egyptian sites with your own expert Egyptologist to answer questions along the way. This incredible 4-hour tour begins when you are picked up from your Luxor hotel in a comfortable air-conditioned vehicle. The tour starts at the necropolis of the ancient city of Thebes where you can see the burial place of King Thebes as well as the tomb of King Tutankhamun. Next your guide will bring you to the Valley of the Kings for a visit to the Temple of Hathesput, one of Egypt's most amazing monuments. Your knowledgeable guide will tell you the stories of this famous Queen who rose to power in Egypt pretending to be a man. When your time at the Temple of Hathesput comes to an end, your guide will make one last stop at the Colossi of Memnon, the funerary temple of Amenhotep III . The amazing Luxor West Bank and Valley of the Kings Tour ends back at your hotel after a fascinating day exploring some of the world's greatest treasures. The tour fee includes all transportation, entrance fees, and of course your expert Egyptologist guide. To book your Luxor West Bank and Valley of the Kings Tour on your next trip to Egypt, call us now.